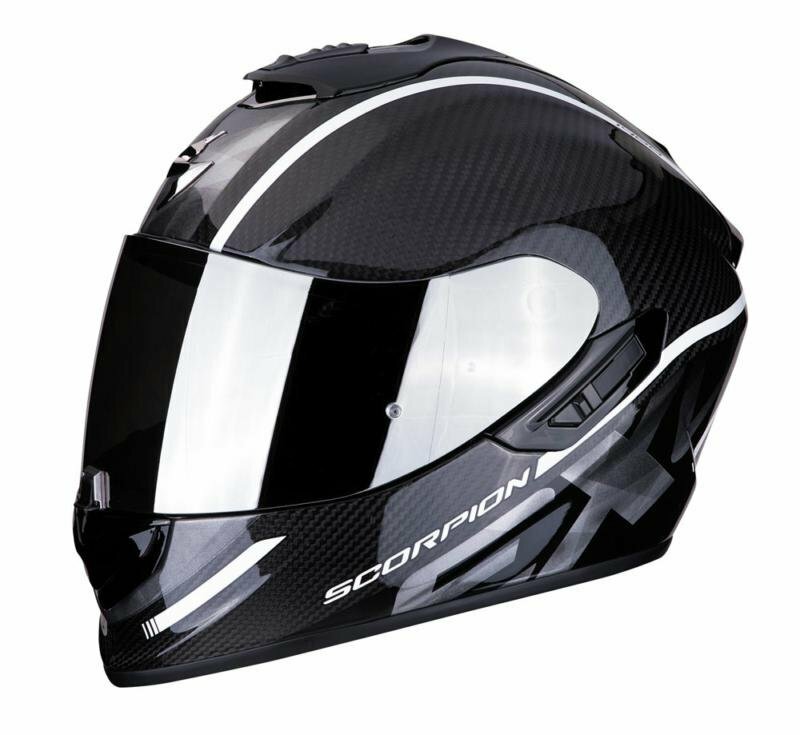 SCORPION EXO 1400 Air Carbon is the most feature-packed carbon helmet ever made with a simple, smooth and streamlined look, with its shell that sweeps back into the helmets spoiler. The ventilation system on the EXO 1400 give you 2 vents one on the chin & one on the top of the helmet, both of these are 2 stage allowing you to dial in the amount of air flow you want to have, there is also an exhaust vent on the back of the helmet which is aero-tuned to reduce lift, create vacuum and maximize airflow through helmet. 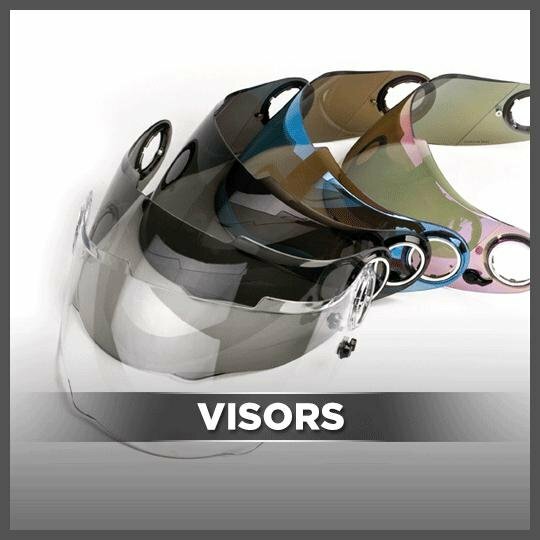 The EXO 1400 has an all new 3D liner while still utilising the KWIKWICK3® LINER which is removable, machine washable, and very soft and pleasant to the touch. 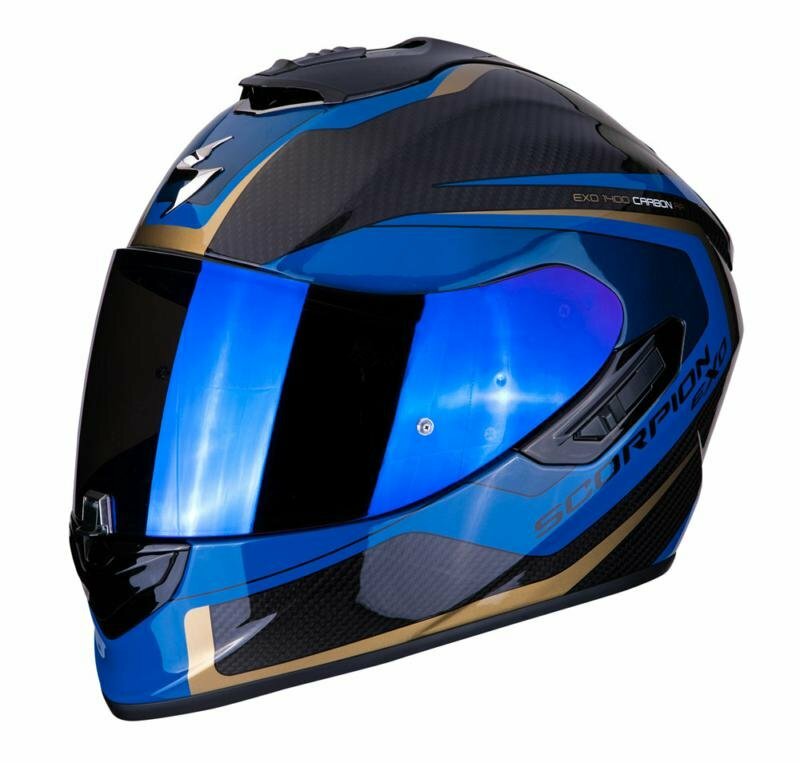 The EXO 1400 shell is still made from TCT an extremely light, strong structure which provides a level of protection as yet unseen in the world of helmets. The outer of the shell is made from Carbon Fibre. When you look at the weave of the fibres you can see just how much work has gone into the making of the helmet, each weave perfectly in place with a deep glossy finish. 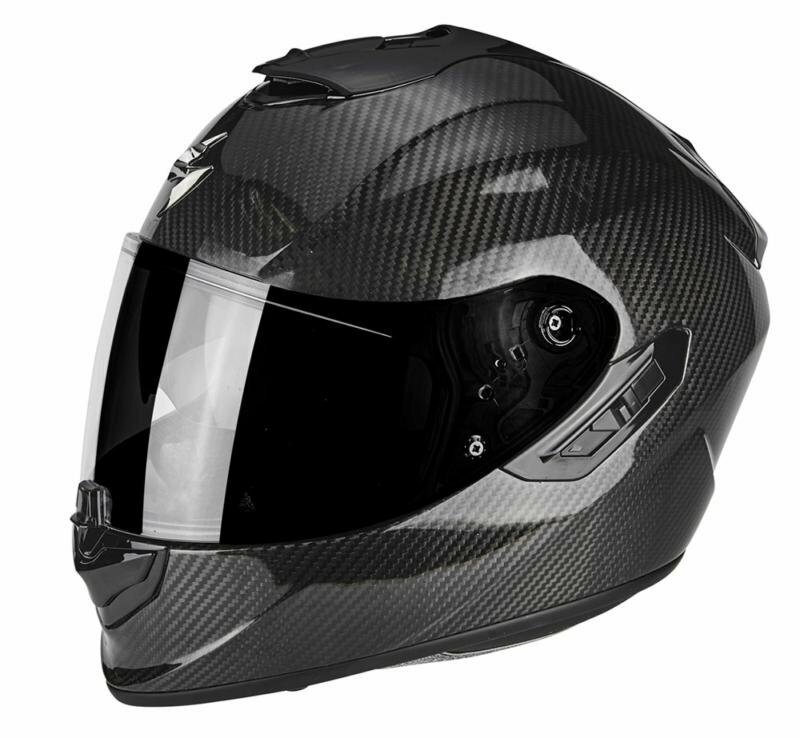 With the EXO 1400 being made form Carbon Fibre the helmet only weighs 1200g in a size Medium. The EXO 1400 still uses SCORPION’s Air-Fit Concept allowing a rider to personalize helmet fit through air adjustable cheek pads with additional noise reduction. The 1400 has an internal sun-visor which works on locking cable mechanism with its slider on the left of the helmet. In the box you get a clear outer visor as well as a dark tint outer visor long with a SCORPION EXO visor pouch. 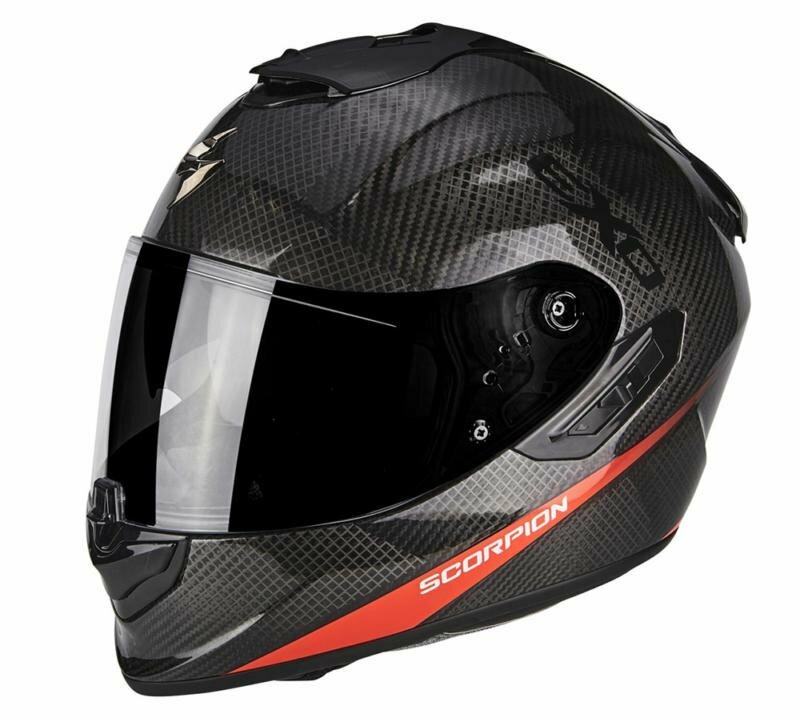 The SCORPION EXO 1400 Air Carbon is covered by a 5 year warranty.